Melissa Rapoport is a Health Counselor and Food Relationship Expert. She works with people around the world who want to fit into their jeans, break the chains of emotional eating, say “No” to yo-yo dieting, and say “Yes” to food freedom, more energy, and increased happiness. 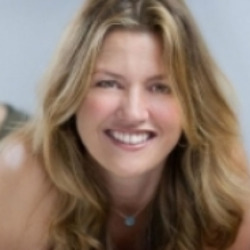 She is an international bestselling author of Cultivating Joy and Wisdom of MidLife Women. What makes Melissa different? She combines her graduate work in Developmental Psychology with her education in health and coaching to create programs the result in lifetime change. Melissa creates tailored Corporate Wellness programs and conducts Workshops across the United States. Her signature talk “The Seven Pillars To Optimizing Your Health When You’re Working Full Throttle” has been presented at financial firms, law firms and advertising agencies.